The Ambassadors Programme is dedicated to enhancing SEEDIG's visibility and presence at the national, regional and international levels. Maja is a writer, translator and educator from Sarajevo, Bosnia and Herzegovina. She focuses on digital rights, media literacy and the use of tech in education and civil society. Will follow your dog on Instagram. Olga is an experienced advocate passionate about law and technology, and a strong believer in multistakeholderism and tech for good. Based in Ukraine, she is founder and CEO of The Influencer Platform, an organisation that trains and unites influencers of all generations who stand for digital rights, free and open Internet. She values the opinions of others, but learns from her own experiences – both in professional life and by uncovering the beauty of the world through travelling. In-between speaking at digital policies and Internet governance events, and building capacity of local communities, she enjoys translating, dancing salsa, and dreams to organise her own poetry readings. Ioana is currently finalising her PhD at the Central European University in Budapest on the topic of regulatory models for data and was introduced to SEEDIG as a fellow in 2018, in Ljubljana. 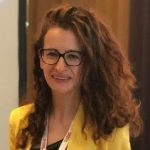 Based in Cluj-Napoca in Romania, she is working as a consultant on regulatory compliance and business development and is a data protection officer for several firms. She loves travelling, especially revisiting places she loves, catching-up with friends from all over the world, and is now fulfilling her long-life dream of learning to play the piano. 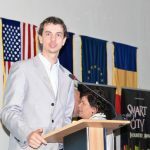 Cătălin is a university lecturer teaching ICT for public administration. His main responsibility is to link the academic knowledge with the practical skills that are needed for the actual and future public servant. He likes chess – when he feels smart, nature – when he feels adventurous, and travelling – most of the time. About this last passion that he has, he made like a second profession out of writing books about countries that are most likely not a common destination for tourists (feel free to google for more!). Based in Armenia, Kristina has gone a pretty long way in the domain business from customer care operator to supervisor then to executive director/ project coordinator for about nine years. Currently, she works in Global AM LLC, an accredited registrar in .am and .հայ. Since 2016, she has been working on GlobalR.com, a project which provides registry gateway service for .ag, .am, .by, .bz, .de, .lc, .me, .mn, .pr., .sc, .vc zones all over the world. Kristina actively participates in various Internet governance forums and meetings (such as ICANN, RIPE NCC, ENOG, SEEDIG, and the IGF) and does her best to share the information she gets in her region. She is also a co-founder of the Internet Society Armenia Chapter. Marko, based in the Republic of North Macedonia, is completing his last year of study at the Faculty of Computer Science and Engineering, Skopje, and is also working as system administrator at Netcetera. 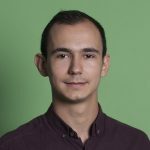 His interest in Internet governance started taking shape at the SEEDIG Youth School 2018 in Ljubljana, and he is now mostly interested in topics related to content policy, privacy, and overall Internet regulations. Marko was also part of the Internet Society's Youth@IGF programme in 2018. And, finally, he likes watching movies all day (whenever that is possible…). A graduate in international relations from the College of Europe, Anastasia's interests lie at the junction between public policy, European Union international relations and digital regulation. 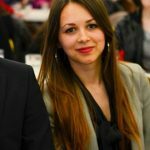 Originally from Moldova, she holds a Bachelor degree in European Studies from Sofia University, Bulgaria and a MA in European Union International Relations and Diplomacy studies. 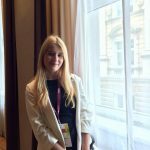 As a SEEDIG Ambassador, Anastasia aims at increasing the visibility of internet governance initiatives from South Eastern Europe across her social network. During her free time, she enjoys travelling and biking around Flanders. 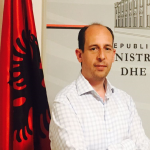 Fotjon is working as Head of Unit for Policies and Strategies Development for Telecommunication and Posts in the Ministry of Infrastructure and Energy of Albania. He is focusing on fields such as digital infrastructure, digital policies, digital skills, broadband and connectivity, cybersecurity, innovation, and information and communications technologies. Since 2015, he has been contributing to Internet governance and Internet policy development processes at national, regional, European and global level. He likes nature, traveling and making friends all over the world. 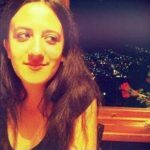 Evi comes from Athens, Greece and is an undergraduate student at the Informatics and Telecommunications Department in the National and Kapodistrian University of Athens. Her first experience with SEEDIG was through the Youth School in 2018, and since then, she has realised that a number of people across South Eastern Europe and the neighboring area put a lot of effort to support and promote SEEDIG's activities and vision. Thus, she decided that it would be great for her to make her own contribution in this direction and help bring digital technology to other people's lives. So, she joined the SEEDIG Editorial Team in the second half of 2018 and is now a proud SEEDIG Ambassador to Greece. Oliana has teaching as her vocation and the curiosity of research and activism, her passion. She is currently lecturing at teaching business ethics at the University Aleksandër Moisiu’ Durrës in Albania. 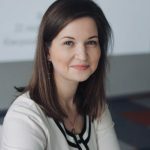 Soon to be a PhD from Estonian Business School, her main research interests are digital economy, digital policy, social media, digital skills, ethics, entrepreneurship, youth policies, and innovation. Albanian by nationality, but her heart is from Argentina and her soul from France. She loves nature, fitness, writing, literature, hiking, travelling, and her biggest dream was to be a fashion designer. Using any opportunity they have (regional and international events you attend, activities you participate in, etc.) to spread the word about SEEDIG and convince others to join our work, as community members, partners, sponsors, etc. Reaching out to stakeholders in their country and encouraging them to contribute to SEEDIG activities. Acting as a liaison between SEEDIG and the local Internet community, and helping ensure that the voice of this community is represented in the SEEDIG process. Coming up with ideas for activities that SEEDIG could run at the national and regional level to achieve our mission. Then assisting the SEEDIG Executive Committee in implementing such activities. Once the ambassadorship ends, continuing to actively contribute to SEEDIG activities, in particular through supporting the new Ambassadors. Present a brief plan, at the start of their Ambassadorship, outlining how they intend to perform their duties. The plan can, of course, be updated throughout the year. Participate in regular online meeting to discuss and plan their work. Maintain close contact with the SEEDIG Executive Committee and periodically report on their activities as SEEDIG Ambassadors. Write blog posts for the SEEDIG website about their work as SEEDIG Ambassadors. At the end of the ambassadorship, present a report outlining the work they have undertaken, as well as plans for future engagement. SEEDIG does not impose a number of weekly hours to be dedicated to the role of SEEDIG Ambassador, but active engagement and regular interaction with the community are expected. If you have questions about this programme, or would like to get in touch with our Ambassadors, please write to us at ambassadors[at]seedig.net.